When you become pregnant, the IRS gives you a baby shower gift. Your pregnancy can increase your tax deductions both before and after you give birth. While several of the tax benefits require you to itemize your deductions on Schedule A, you can look forward to additional exemptions and credits after the baby is born. When you're pregnant, you usually spend a good amount of time going to the doctor, which probably means racking up thousands of dollars of medical bills. As long as you itemize your deductions, you can claim any medical expenses that exceed 10 percent of your adjusted gross income on Schedule A, or 7.5 percent for the 2012 tax year. If you have high-deductible health insurance, this can save you a great deal of money. Many pregnant women also incur additional expenses related to their job. You might need to buy new uniforms to accommodate your growing baby bump or upgrade your Internet connection or buy a new computer so that you can transition to working from home. Any job-related expenses that exceed 2 percent of your AGI and that your employer doesn't reimburse are also deductible on Schedule A with the rest of your itemized deductions. Once you give birth, the IRS lets you claim an additional personal exemption for your child. 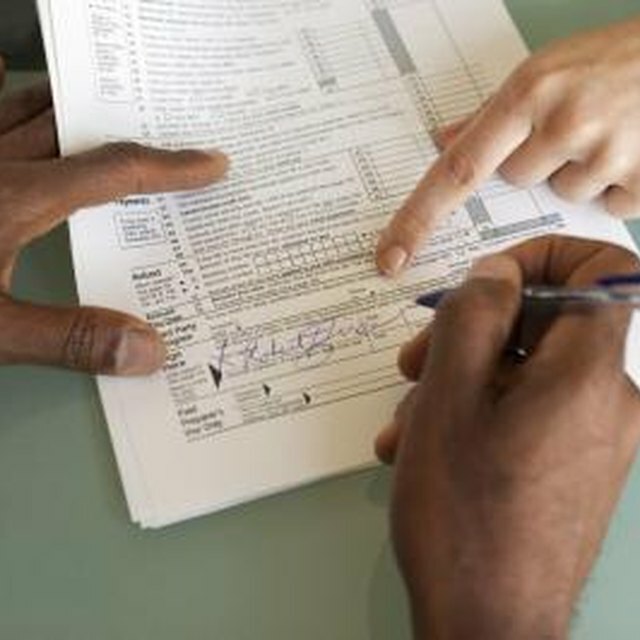 In the 2013 tax year, the exemption will be worth $3,900. If you are single and providing the primary home for your child, you may also be able to adjust your filing status from "Single" to "Head of Household." Doing this increases your standard deduction and changes your tax brackets, lowering the amount of tax you pay even more. Does Moving Out of My Parents' House Count as a Qualifying Life Change in Health Insurance? Is Preschool Tuition at a Church Tax Deductible? In addition to the extra exemption, the IRS also let you claim a tax credit for your new child. The credit is worth up to $1,000, and you apply it to your tax liability. So if you owe the IRS $1,500 and you qualify for the entire amount of the credit, you'll only own them $500. To claim the tax credit, your income needs to be below a certain threshold.